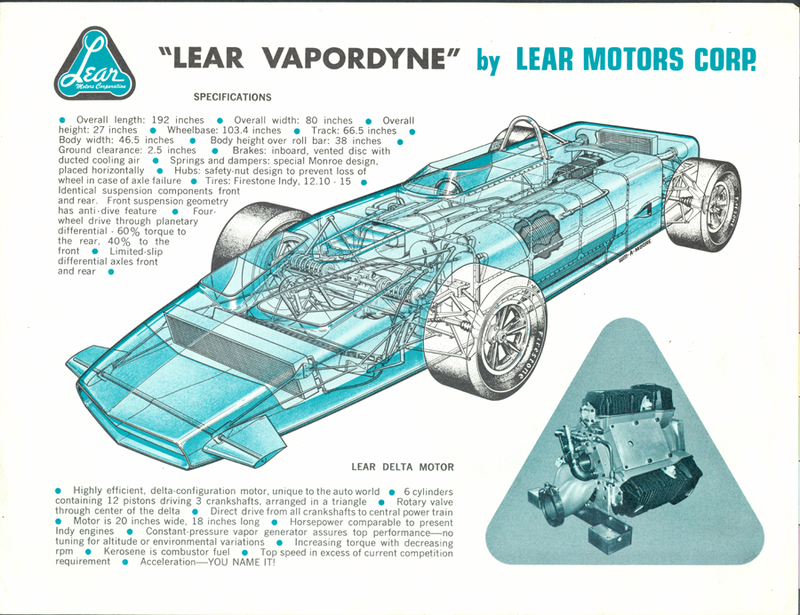 Lear Motors Corporation Brochure for the Lear Vapordyne. Left - Clark West - Supervisor. 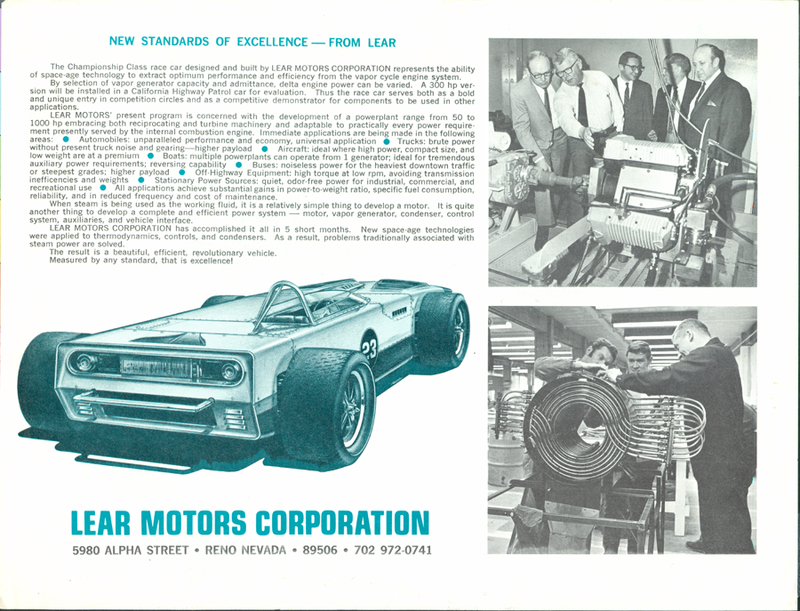 Right - Ken Wallis - Builder for Lear. 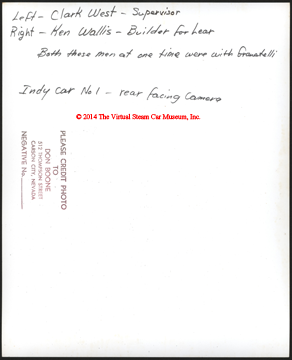 Both these men at one tim were with Granatelli. 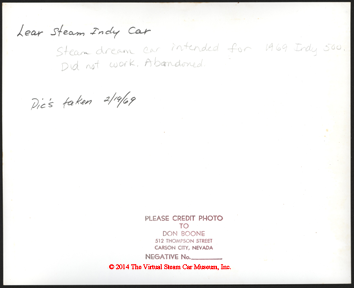 Indy Car No. 1 - rear facing camera. Photo by Don Boone, Carson City, NV. 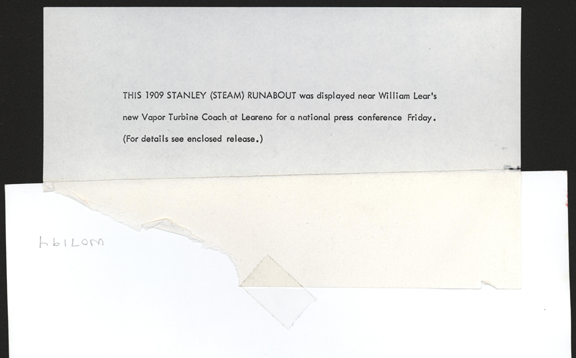 Lear Steam Indy Car. 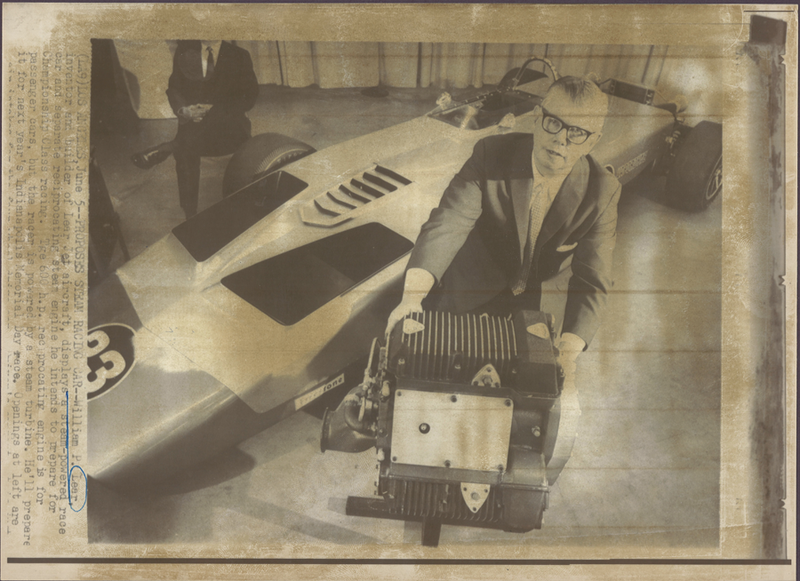 Steam dream car intended for 1969 Indy 500. Did not work. Abandoned. Piuc's taken 2/19/1969. Photo by Don Boone, Carson City, NV. 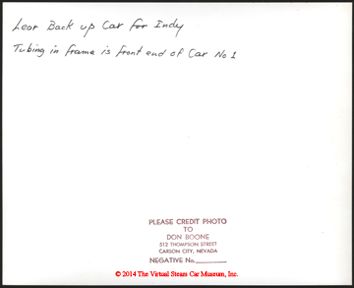 Lear Back up car for Indy. 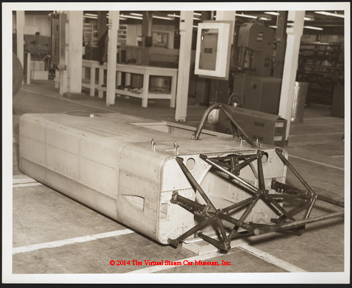 Tubing in frame is front end of Car No. 1. Photo by Don Boone, Carson City, NV. This press photo is dated June 1969. 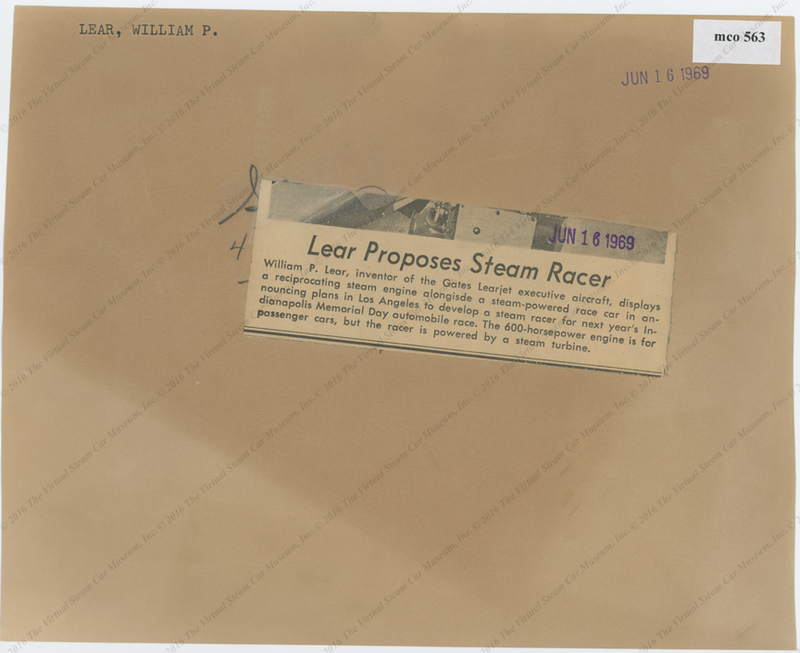 It reads "(LA9) Los Angeles, June 5 -- Proposes Steam Racing Car -- William P. lear, inventor nad builder of Lear Jet aircraft, displays a steam-powered race car and separate reciprocating steam engine he intends to prepare for Championship Class racing. Tge [sic] 600 h.p. 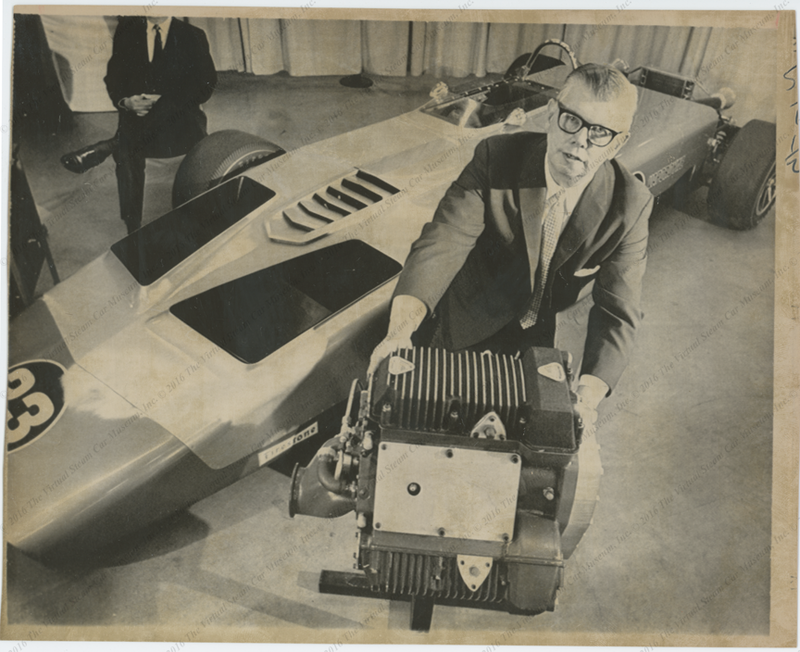 reciprocating engine is for passenger cars, but the racer is powered by a steam turbine. 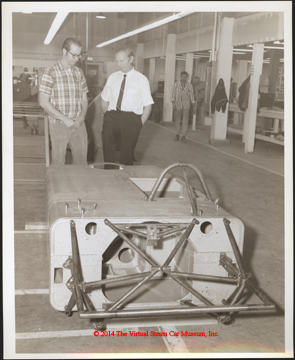 He'll prepare it for next year's IOndianapolis Memorial Day race. 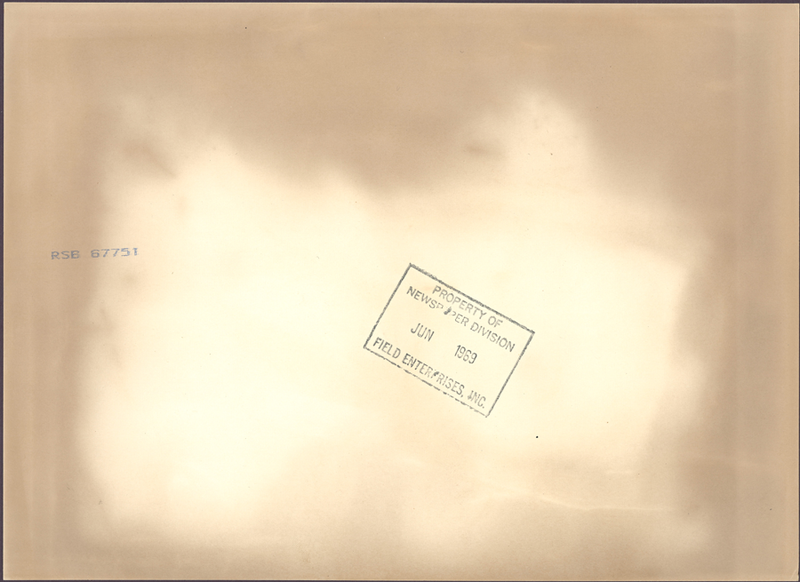 Openings at left are [image cut off and un readable]. 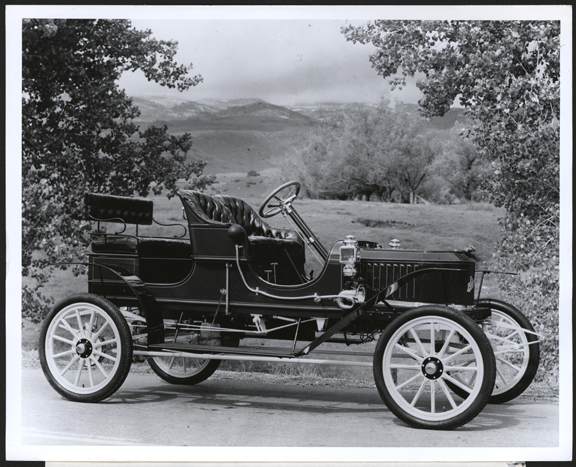 This press photo shows a 1909 Stanley Steam Car, that was displayed near William Lear's new Vapor Turbine Coach at Leareno for a national press conference Friday. The press release covering this event and photo have been separated from the photo. 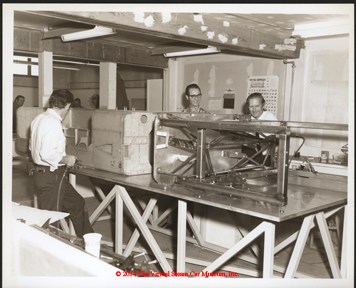 This press photo is also dated June 16, 1969.